Classification: Part Time, Non-exempt – 20 hrs. per week – This is a grant funded position with the capacity to move to Full-Time position with additional funding secured. The Development Director position will develop, design, and execute fundraising program and strategies of all types. Actively recruit and manages donors by engaging them in The Family’s mission and securing financial support. Uphold and live out Evangel Ministries, Inc.’s mission, vision, and statement of faith. Provide servant leadership as patterned by Christ. Compassionate, speaking the truth in love, soliciting feedback, spiritual maturity, fostering an atmosphere for the EMI team to flourish. This is a hands-on position that will call for the quick design and execution of fundraising strategies of all types (grants, capital campaigns, events, sponsorships, but focusing on large private donations) that yield results quickly and without unnecessary gestation periods (we know that development requires relationship building and we are not referring to the necessary steps of building an audience). The Director will oversee all aspects of yet-to-be-designed fundraising programs as well as create fundraising goals and solicit funds to meet these goals. He or she will develop new donor bases and organize initiatives to solicit funding. Manages, implements and evaluates various campaign events and activities per The Family’s recognized best practices, benchmarks, and timelines and work with staff to achieve goals and outcomes. Knowledge, expertise and understanding of marketing communications and print materials as they relate to donor development. Graphics knowledge a plus. Prepares or assists with budgets and ensures compliance with allocated funding. Conducts active community networking and outreach through 5+ face to face meetings on weekly basis with current and prospective donors. 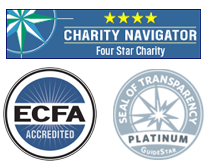 Certification specializing in Fund Raising credentialed from the Certified Fund Raising Executive (CFRE) International. Minimum five (5) years of experience with proven results in fundraising and donor development. We will be relying on your extensive experience and judgment to plan and accomplish goals and you’ll be performing a variety of tasks including, eventually, leading and directing the work of others. A wide degree of creativity and latitude is expected. Evangel Ministries, Inc. operates the group of radio stations known as The Family and is seeking a part-time Digital Content Specialist. An experienced content Marketer who can collaborate with others to develop and execute targeted, relevant, personalized content across digital channels. Use analytics and SEO tools to identify content trends and assist in content planning. Experienced with graphic and content design. Diversify and proactively bring ideas for content, promotions, video scripts, contests, blogs, etc. Ensure brand consistency and writing standards are integrated through all marketing materials. This includes accuracy of spelling, grammar, and punctuation. Strong communication skills, both oral and written. Good personal presence. Confident. Actively involved with a local church. HOURS: Part Time, Non-exempt This position is based out of our Appleton office. Evangel Ministries, Inc. operates the group of radio stations known as The Family and is seeking a Full-Time On-Air Personality. We are looking for a creative, friendly, conversational style, fun, upbeat personality with outstanding verbal and interpersonal communication skills to interact with our listeners. Production and imaging skills will set you ahead of the pack, with social and digital media skills a big plus. If you are a team player with an overwhelming sense of God’s call to use your talents and life experiences to advance His work, and you want to grow professionally in your craft, The Family is the place for you! Prior broadcast experience of 2 to 4 years required; drive-time experience preferred. Ability to share personal experiences that connect our audience. Uphold and live out the mission, vision, and the statement of faith of EMI. Proficient computer knowledge using Microsoft office suite and editing software such as adobe audition and the ability to run a board cast board. Strong understanding of radio fundamentals and willingness to continue being a student of the craft of radio.